Since I started brewing beer (way back in '09), I'd been planning on someday making a clone of New Belgium Brewery's Fat Tire Amber Ale. I checked out books from the library with clone recipes in them. I've come across recipes online. 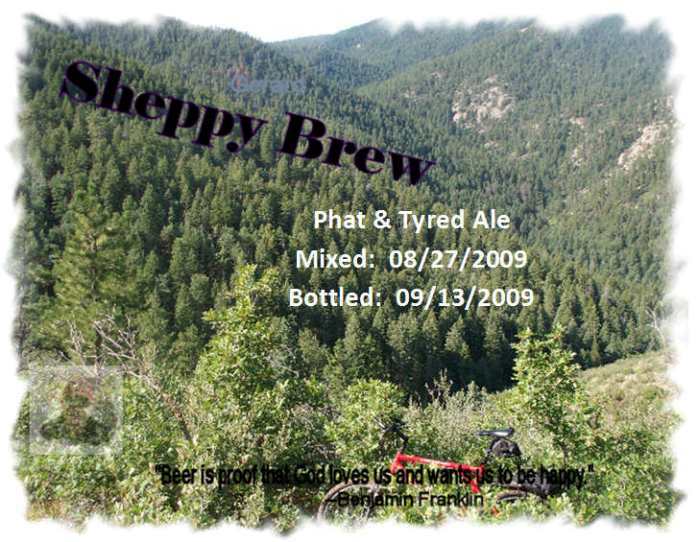 My LHBS has a clone they sell called Fat Tire(ish) Clone Recipe. My forum buddy D-Rock even posted a clone recipe on the Mr. Beer forums he calls Mai Tyre. To come up with my recipe, I took elements from most of these, especially D-Rock's, and came up with my own version. By coincidence, I used WY1272 American Ale II yeast in my most recent version of Eric's Red, and that is what D-Rock had selected for his clone. The fact that at the time, I had no Mr. Beer ingredients and some harvested WY1272 and that D-Rock so recently posted his version all combined to tell me that it was the time to try my clone. This was my first partial mash and my first use of harvested yeast. It was also my first addition of Irish Moss. My first attempt at this beer was mixed on 07/01/2009. It turned out great. It was not quite Fat Tire, but I actually liked it better than Fat Tire when I did the comparison. The second batch was mixed on 8/27. There were not a lot of changes to the 2nd batch. Basically, just going with a light DME instead of dark and standardizing the specialty grains at .25lbs. And, of course, I just could not leave well enough alone. My third batch was different again. Using Briess Pilsen Light LME and some 2-row malt should lighten it up even more. Added a bit more hops to bring the BU:GU to right around 50. Also, the yeast is not harvested this time (although I did harvest it from this batch). Before even tasting batch 3, I started batch 4 which included just a bit of chocolate malt. Batch 5 was exactly the same except I replaced the chocolate malt with pale chocolate malt. Batch 6 was an all-grain recipe. Batch 7 is also all-grain, but in a 5 gallon batch instead of in a Mr. Beer size. Eventually, I should get to my final recipe on this one. 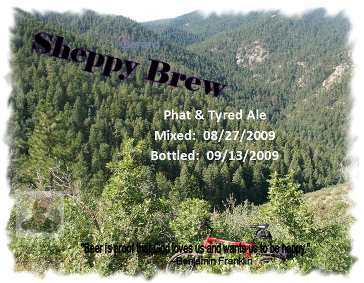 If you are curious what I written about Phat & Tyred on my blog: http://blog.ericshepard.com/search/label/Phat%20Tyred. Day 1: 60F slow start, but going at the end of the day.